We've got fast and easy ways to find the programming you're looking for on live TV and On Demand. Find what you want faster with your remote and voice commands. Press and hold on your remote. You'll see on-screen that the microphone is on and listening for your request. When done speaking, release and search results from live TV and On Demand will quickly appear. Use to scroll to the results, then highlight what you want and press SELECT to get more information. movies or TV shows: "Watch I Love Lucy"
actors or directors: "Audrey Hepburn"
sports teams: "Green Bay Packers"
To learn more about the voice remote, click here. 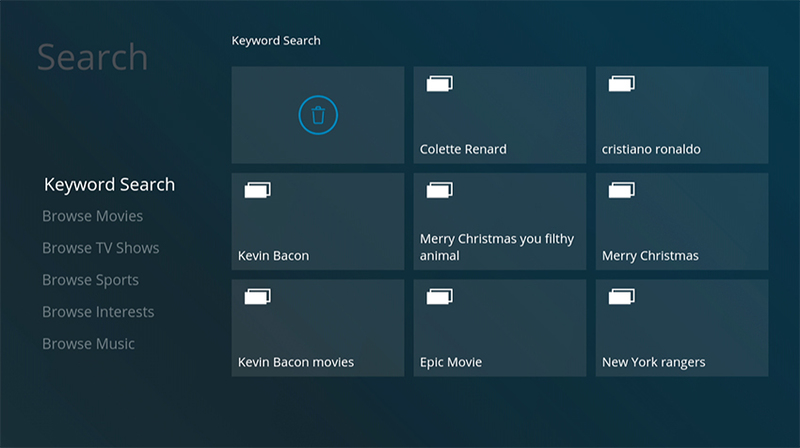 Another way to find what you're looking for is by using the on-screen keyboard. Press and select Search from the main menu. Use the ARROWS to select "Keyword Search" and press SELECT. 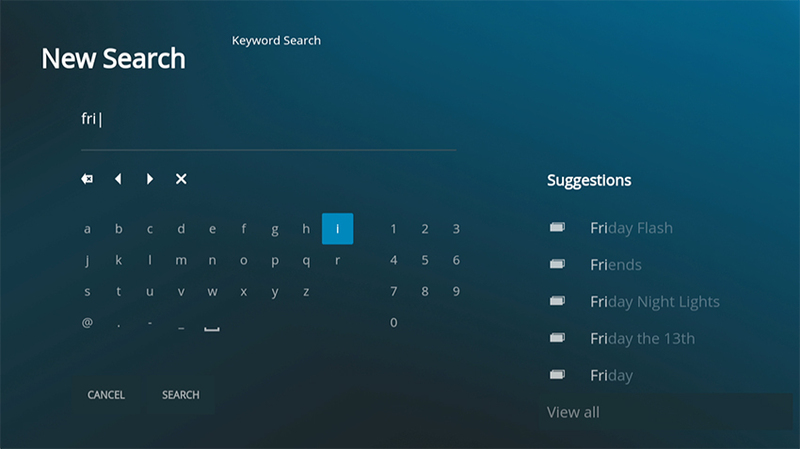 Highlight the first letter of your search word, and press SELECT to choose the letter. As you select more, search will begin to suggest results that match your entry so far. Use to navigate to "Suggestions." Highlight a search result or "View all" and press SELECT to view. If you've previously search for something, there is no need to do it again. Old searches will appear when you first enter Search. Simply highlight the search term and press SELECT to view up-to-date results. To remove your old searches, highlight the trash bin and press SELECT.